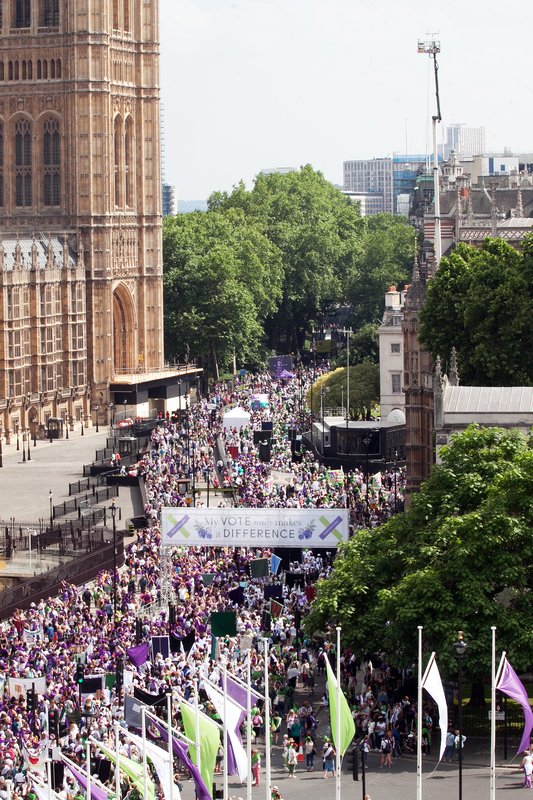 On 10th June, thousands of women took to the streets in London, Cardiff, Belfast and Edinburgh to create a huge public artwork celebrating 100 years since the first British women could vote. 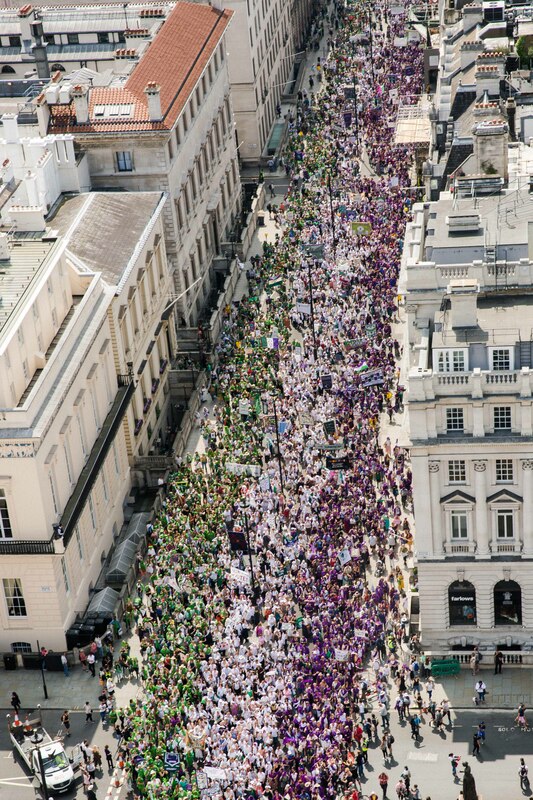 All participants were provided with green, white or violet scarves to reflect the suffragettes, and came together as a vast flowing river of colour through the city streets. The project was conceived by Artichoke, who are renowned for creating extraordinary and ambitious public art, and included an extensive programme of creative workshops to craft banners for the procession. One hundred women artists were commissioned to work with organisations and communities across the UK to create banners using text and textiles, echoing the practices of the women’s suffrage campaign. The Rothschild Foundation was delighted to support Processions and the opportunity for young people to add their voices to the project. Through a teaching resource pack shared with schools nationwide, students could explore and learn about the history of women’s suffrage, democracy and gender equality. Young people in our own local community at the Vale Federation schools, Aylesbury took part in a workshop to make a centenary banner for Processions and respond to this historic moment for women. The school resource pack is available on the Processions website.